Another photo of this peach / lavender color hibiscus flower. This hibiscus grows in my yard and has been continued through cuttings to several other hibiscus plants. 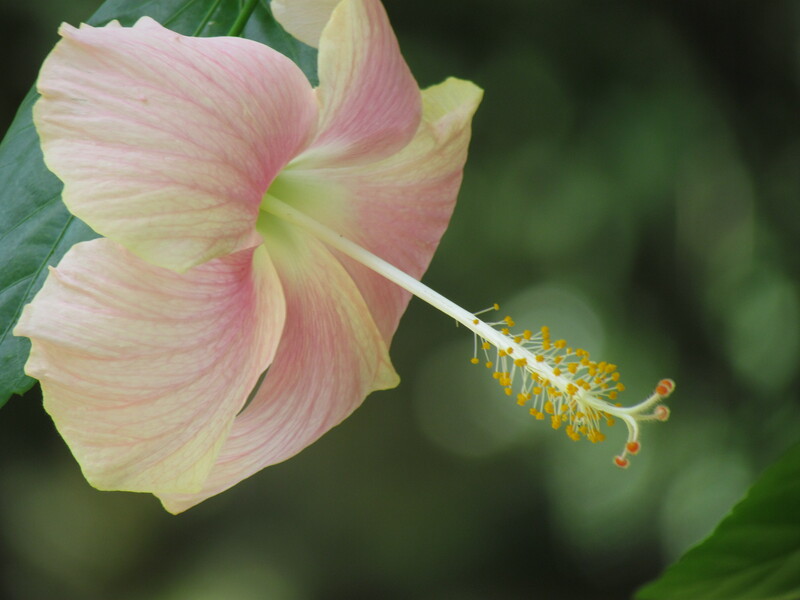 Hibiscus flowers come in many colors but usually only a few can be found in a garden center. I’ve never seen this one at any store. Perhaps I will make some more cuttings and see if I can start a hibiscus business. 🙂 Hibiscus flowers attract humming birds. Photo by Ian Sands. Location: Labelle, Florida. Peach hibiscus flower.